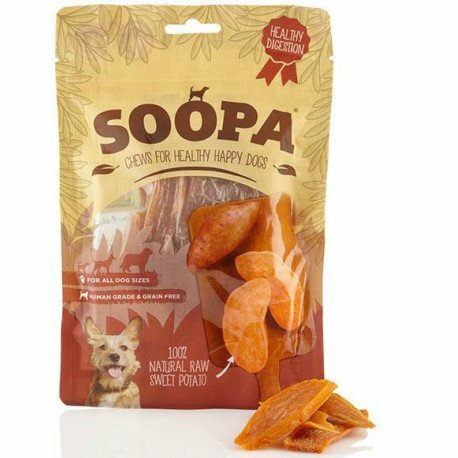 These delicious dog treats are Soopa healthy and Soopa tasty too! Not sure which to choose? Try coconut for weight loss, papaya for digestion and sweet potato for eyesight - or any of them for yumminess! Contents: Sweet potato 100g; Coconut 100g; Papaya 85g. 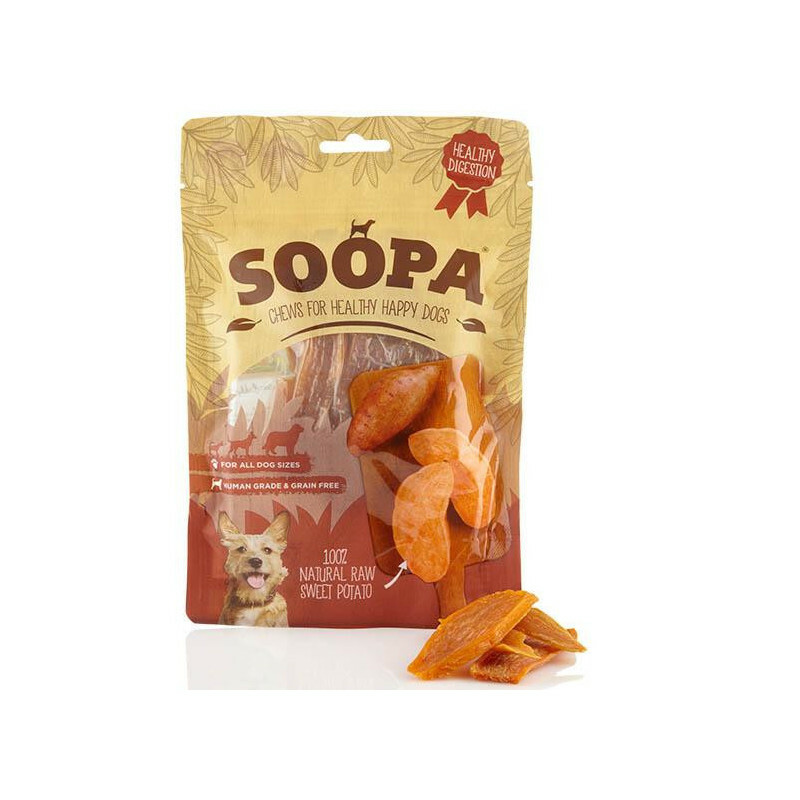 These healthy dog snacks are from 100% raw fruit and veg. Grown on small, family-owned farms in Vietnam, dehydrated and packaged in a human-grade facility nearby and shipped by boat to the UK. Coconut is a great weight loss and detox aid. Start by giving small amounts and increase over time. 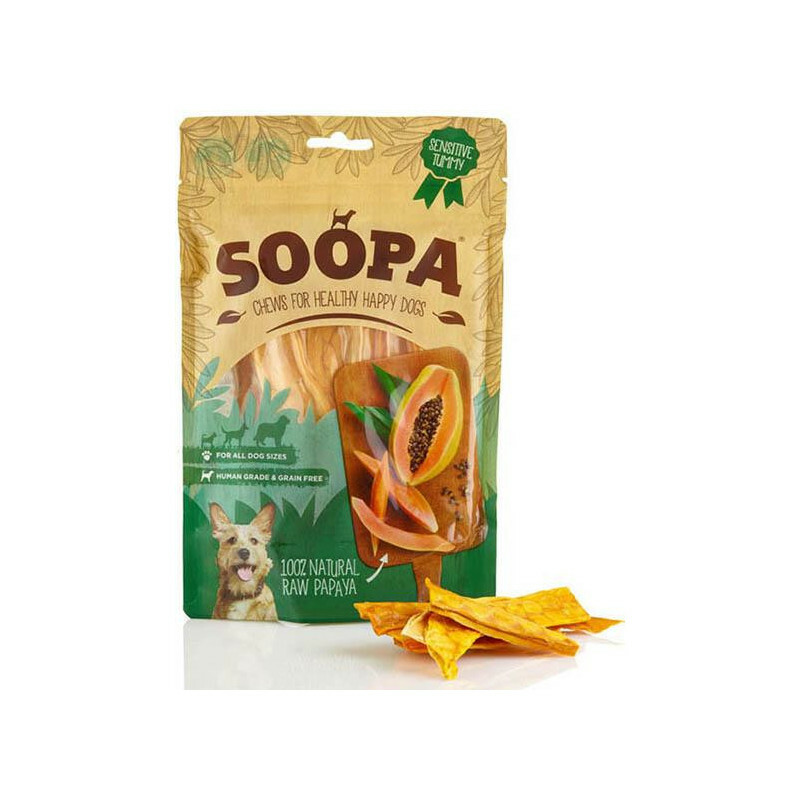 These treats are juicy and delicious dog with lots of disease busting vitamins, minerals and anti-oxidants. They also contain ‘papain’, an enzyme which aids the digestion of proteins and can soothe upset tummies and consequently reduce bad breath in some circumstances. They may also help protect against parasites. 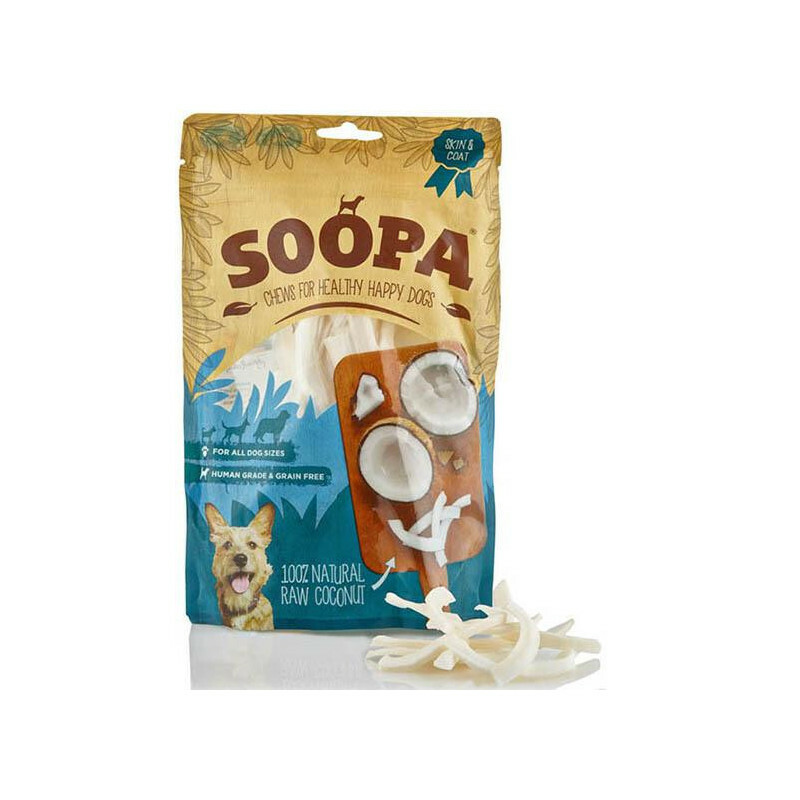 A delicious and healthy chew treat for your dog! Sweet potato is naturally rich in vitamins, minerals and anti-oxidants. They also have carotenoids, which help strengthen eyesight and promote a strong immune system. Sweet potato also contains good bacteria, important for digestion. The natural sugars in sweet potato are slow burning and great for stable blood sugar.